Fall is officially upon us, which means it’s officially time to start your autumn adventures. 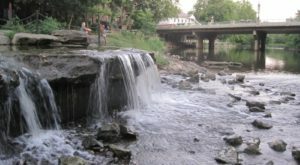 Here in Ohio, there’s plenty to do this season. 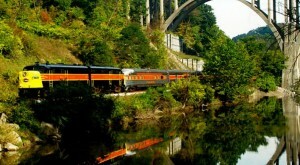 From pumpkin patches to scenic train rides, there’s something for everyone. In fact, there’s even a train ride that leads to a pumpkin patch. 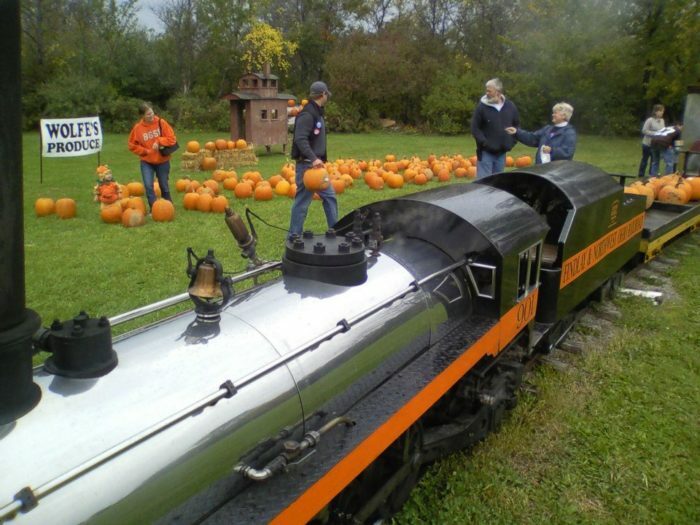 At the Northwest Ohio Railroad Preservation in Findlay, Ohio, there’s a Pumpkin Train the whole family will enjoy. 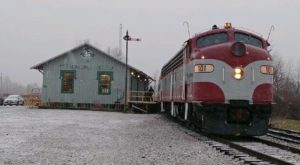 At the Northwest Ohio Railroad Preservation, you can board a quarter-scale train year-round. You'll find it at 12505 County Rd. 99, Findlay, OH 45840. 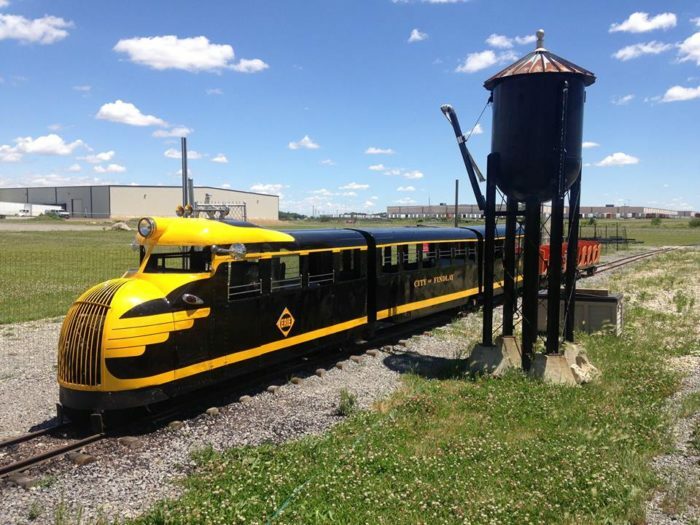 This volunteer-run group seeks to promote northwest Ohio railroad history, which train enthusiasts will love. 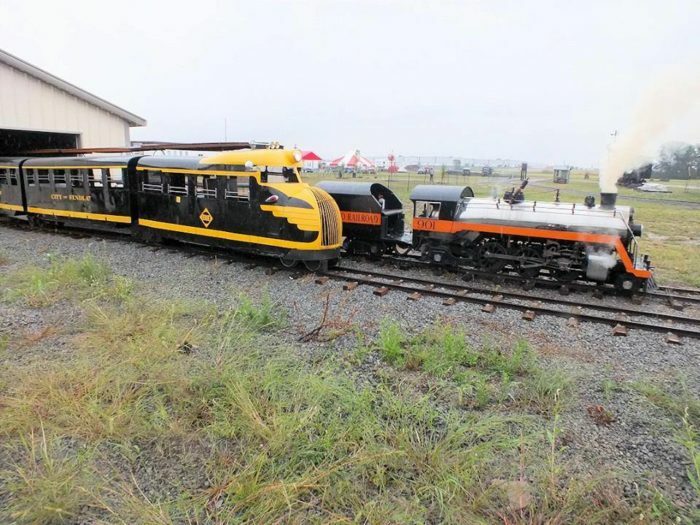 In addition to their quarter-scale steam locomotive, they also have a quarter-scale diesel for when the weather doesn't allow for steam operation. 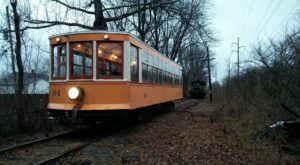 Throughout the year, the preservation group holds seasonal trains. 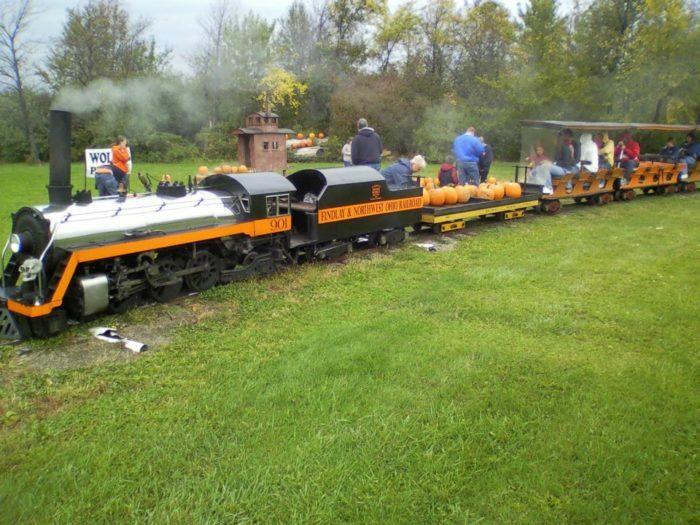 In the fall time, the Pumpkin Train runs every Saturday and Sunday. 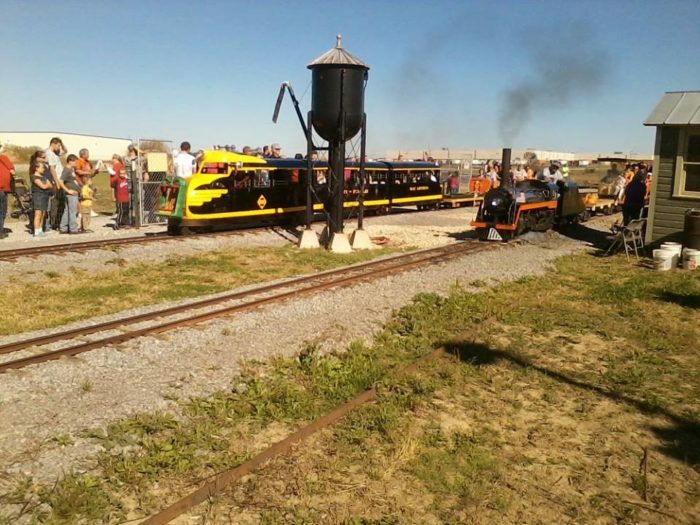 This year, the Pumpkin Train will run from September 22 - October 21, every Saturday and Sunday from 1 p.m. - 5 p.m. The Pumpkin Train leads to the pumpkin patch, where you can select, pick up and load your pumpkin onto the train. 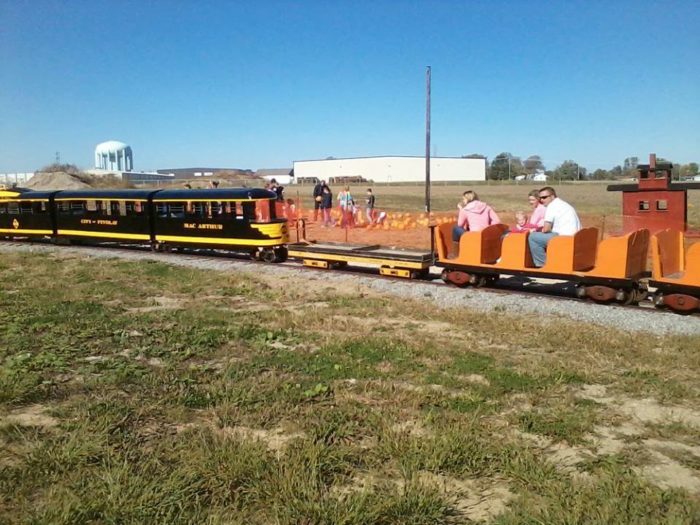 To ride the pumpkin train, it costs $2 per adult and $1 for children 12 and under. It's a picture perfect fall day activity and a neat way to pick out your pumpkin for the season. 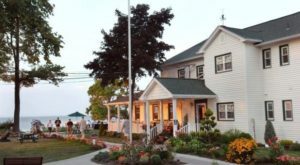 This year, Pumpkin Fest with Tracks to the Past will also take place on September 29 - 30. 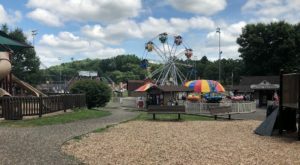 It's a family fun day of games, Pumpkin Train rides, concerts and more. Admission is free, but additional charges to some activities apply. 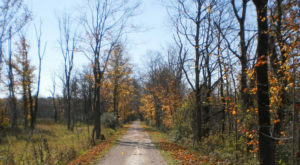 The Northwest Ohio Railroad Preservation is located at 12505 County Rd. 99, Findlay, OH 45840. (For more information, visit their Facebook page here.) Have you ever been here before? If so, we want to know what your experience was like! 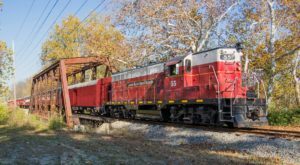 For more fall train rides in Ohio, check out our previous article: Take This Fall Foliage Train Ride Through Ohio For A One-Of-A-Kind Experience.